Kurt Welter was born on 25 February 1916 at Köln-Lindenthal. He joined the still secret Luftwaffe on 1 October 1934 and trained as a pilot. Welter served as an instructor up to 10 August 1943 when he was transferred, with the rank of Oberfeldwebel, to Blindflugschule 10. On 2 September 1943, Welter was transferred to 5./JG 301. With this unit he performed Wilde Sau missions intercepting raiding Allied bombers in single-seat fighter aircraft by night. On the night of 22/23 September, Welter shot down two Allied four-engine bombers on what was his first Wilde Sau mission. He shot down a further two on his third mission on the night of 3/4 October. By the beginning of April, he had recorded 17 victories in only 15 missions!  Welter was awarded the Deutsches Kreuz in Gold on 10 May. Leutnant Welter was transferred to 5./JG 300 on 7 July 1944. In July, he was to claim two USAAF B-17 four-engined bombers and three P-51 fighters shot down by day. From 25 July 1944, Welter served with 1./NJG 10 performing Wilde Sau missions. He claimed four RAF Lancaster four-engine bombers shot down on the night of 29/30 August to record his 24th through 27th victories. Welter transferred to 10./JG 300 on 4 September 1944. 10./JG 300 was established to counter incursions by RAF Mosquito twin-engined bombers. In September, Welter was to claim seven Mosquitos shot down, including one by ramming! It is thought that during his service with 1./NJG 10 and 10./JG 300, Welter recorded 12 victories in only 18 missions. Welter was awarded the Ritterkreuz on 18 October for 34 victories. On 2 November 1944, Welter was transferred to II./NJG 11. Here he was given command of a unit, set up on 11 November 1944, dedicated to the interception, by night, of RAF Mosquitos. On 28 January 1945, the unit, initially known as Sonderkommando Stamp after its founder and then Sonderkommando Welter, was redesignated 10./NJG 11. The unit was equipped with Me 262 jet fighters. Welter claimed 25 Mosquitos and two four-engined bombers shot down by night and two further Mosquitos by day flying the Me 262. Whilst Welter had tested a prototype Me 262 fitted with Neptun radar, the majority of Welter’s 20 plus night victories were achieved in standard radarless aircraft. Welter was awarded the Eichenlaub (Nr 769) on 9 March 1945 for 48 victories. Having survived the war, Welter was killed on 7 March 1949 at Leck in Schleswig-Holstein waiting at a level crossing, when logs falling from an improperly loaded passing train crushed his car. 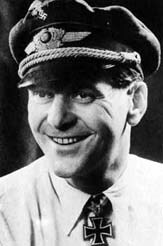 Kurt Welter was credited with 63 victories in 93 missions. He recorded 56 victories at night, including 33 Mosquitos.